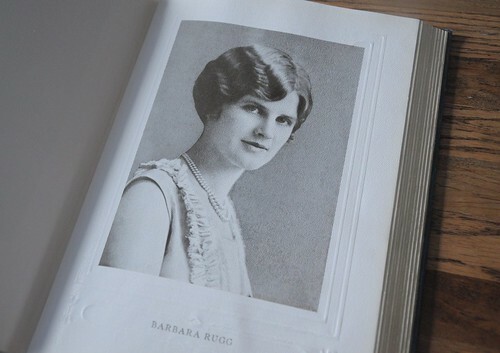 This post is part of a series of stories about collections — the treasures we gather in our homes, display for our guests, and that bring us joy. If you have a collection to share, contact diydelray[at]yahoo.com. My husband Mark is a bit of a pack rat, and I mean that in the most loving of ways, of course. He collects books, baseball and football cards, bottle caps, coins, and he even has an assortment of sports-themed Wheaties boxes and Coke bottles. 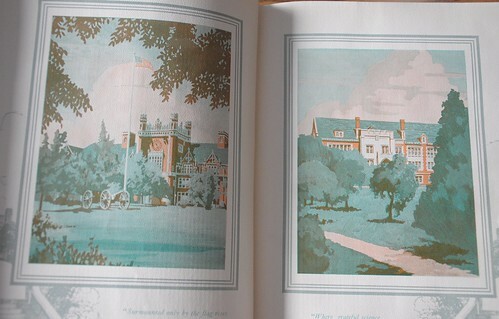 I don’t quite understand the Wheaties boxes, but the one collection I am fond of is his collection of old college yearbooks. Yes, they are musty and take up a lot of space, but it is fun to glance at the old photos and imagine what life was like back then. Look at these glamour shots. 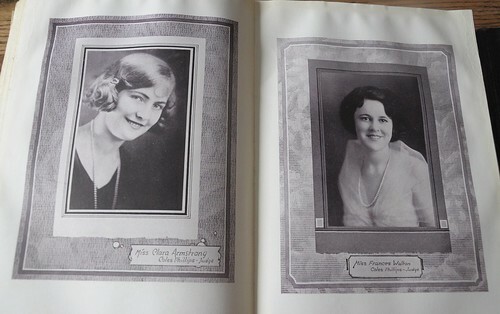 I’m loving the vintage 1920s flapper hairstyles. Here’s the “best athelete” and “best student” looking a little more serious than the ladies above. 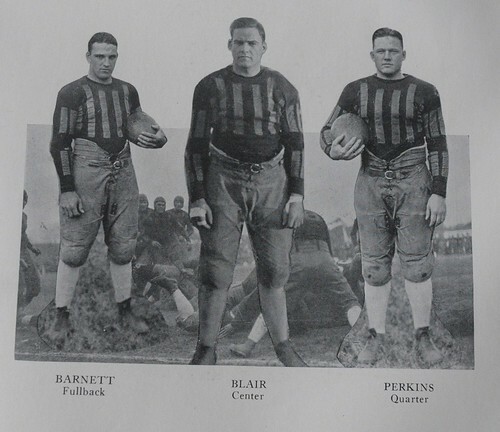 I can’t imagine these guys opposite today’s football players — I think Barnett, Blair, and Perkins could use some more shoulder pads. 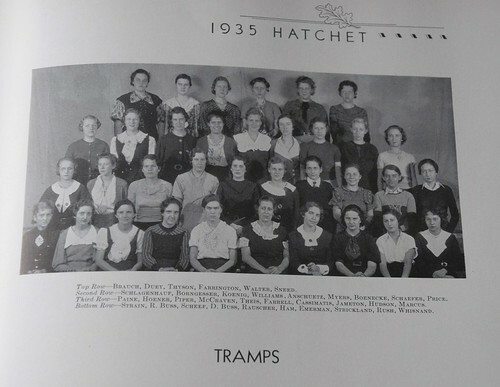 I don’t think you’d see the word “tramps” in today’s yearbooks. 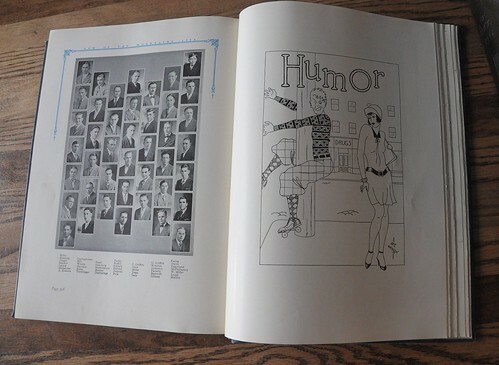 Many of the yearbooks also have a section for “humor” with student artwork. And even a dash of color here and there. Mark was a history major in college and has a deep interest in learning about the past. He says the books provide insight into the era of the great depression — while many suffered through poverty, others were attending college, playing sports, and attending upscale social events. 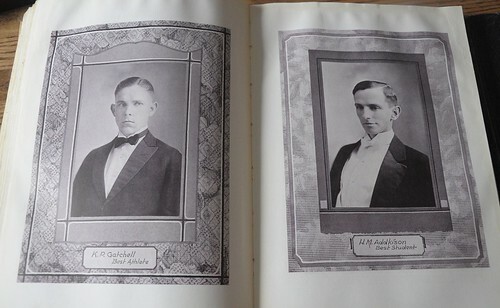 Mark has about 40-50 yearbooks in his collection — found at yard sales, on ebay, antique stores, and received as gifts. Most are from the 1920s and 30s but the oldest goes back to the 1890s and the most recent one from the 1960s. Those are great. You could photocopy and frame some of them! I love the idea of a few of these books and a big ole jar of modge podge. What fun! Great ideas, but I’d be in serious trouble if I cut up one of Mark’s books! Ha!